Home > Mod & APV > $34 Original Geekvape Tsunami Mech Kit ! Up to 50% OFF! 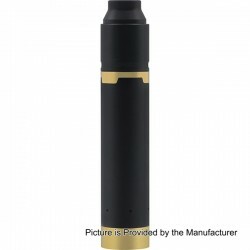 The GeekVape Tsunami Mech Kit includes a Tsunami Pro 25 RDA and a Black Ring Plus mechanical MOD. The MECH MOD features interchangeable between 510 mode and hybrid mode, replaceable sleeve and enhanced magnetic button. The upgraded Tsunami 25 has many new improvements – large build deck for complex coils, adjustable airflow for single and dual coil setup, optimized airflow hole and staggered inner chamber. 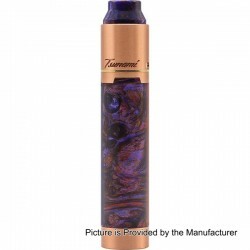 The Tsunami Mech Kit is a great option for advanced vapers.